When we started writing the newsletter last night, we were going to open with a blustery day turning into a blustery night riff, but there’s just way too much sunlight streaming in through the windows this morning for that reference to work anymore. So, we’ll save the Winnie The Pooh nod for later, and press on with providing commentary for the approaching collapse of all civilization, which is to say there are less than twenty shopping days left before Christmas. Many of you got a jump start last weekend during Small Business Saturday, and wow! We had one of the best days ever in the store. We want to say thank you, thank you, thank you to all of our fabulous customers who came out and did their best to strip the tables and shelves of all the books. Now that we’ve had a week to recoup and restock, we dare you to do it again. Come on. You know you want to. There’s even a Santa Claus parade running down Main Street at 3:30 pm on Saturday. This’ll make the gauntlet harder, but we know you’re up for the challenge. You’re going to come in the back door, rifle the tables, fill your holiday bags, and be out front, waving and cheering at St. Nick like you didn’t just ransack the book store for all your holiday presents. It’s okay. We’re made of stern stuff. We read books, after all. We’re ready for anything. In fact, we’ve laid a few traps these last few days. That’s right: gee-gaws, tchotchkes, and stocking stuffers are starting to overflow the shelves. Journals and coloring implements and bookmarks, oh my! No, seriously. 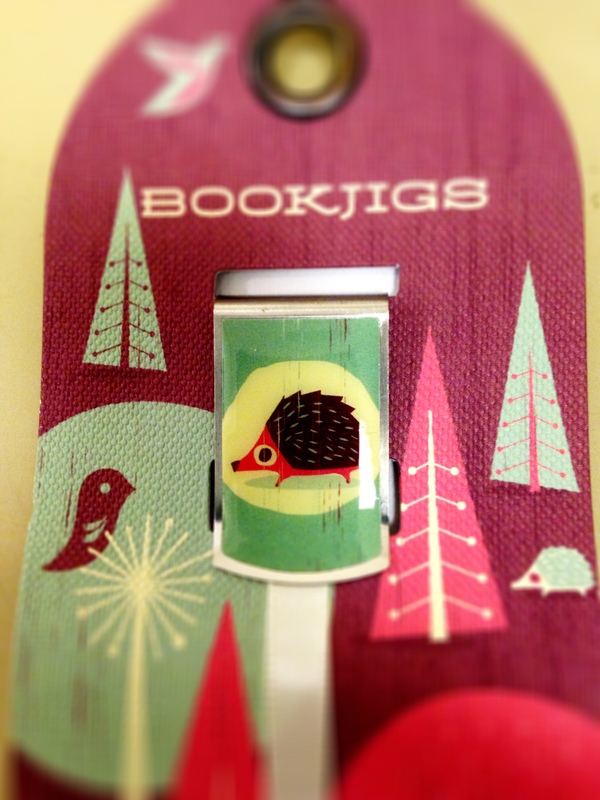 You need to come check out these Bookjig bookmarks. They are so cute and functional that we bought *ahem* all of them. Because, even though we are made of stern stuff, we sometimes fail to pick just one of the cute things. We dare you to resist the allure. Look at that hedgehog! Isn’t he the cutest? For those who don’t wish to be confronted by a screaming mob and/or that persistently jolly fat guy, next week is Enigma Night. On Thursday, December 10th, the store will be open from 7 - 9 pm for another of our adult hang-out events. This time, we’re going to have a little in-store mystery to solve, adult beverages and snacks (which won’t require a mystery to solve), and some prizes. And no, we’re not talking like “everyone gets a turn at apple bobbing” sort of prizes. Bring a fiver to appease the guy at the door, and have your thinking caps on. Our in-store writer has not finished a novel this year, and he’s probably going to relieve some of that frustration by making wickedly obtuse puzzles. Speaking of puzzles, we’ve had a chance to augment our stock with a batch of 1,000 piece puzzles. For those family gatherings where Grandma keeps saying that the roast will ready in another half hour and everyone knows that time dilates dramatically around the old clan matriarch but no one dares NOT be at the table when the food finally arrives, right? A thousand piece puzzle will keep everyone busy for a little while. Well, until Grandpa knocks over the glass of his homemade sarsaparilla soda and makes the pieces all stick together. And then someone steps on the cat’s tail while trying to mop up the mess, and then the little ones start wailing because the cat went galumphing across the hardwood floor like a spooked wildebeest. And then Aunt Bess says—a little louder than necessary—that this all Uncle George’s fault, even though we know that what happened at the industrial plant was NOT Uncle George’s fault, and it’s been a long year of physical rehabilitation and therapy to even get to a place where George can sit in the same room with a table full of small objects cut into infinitely complicated shapes. Ah, the holidays. That most magical of times. 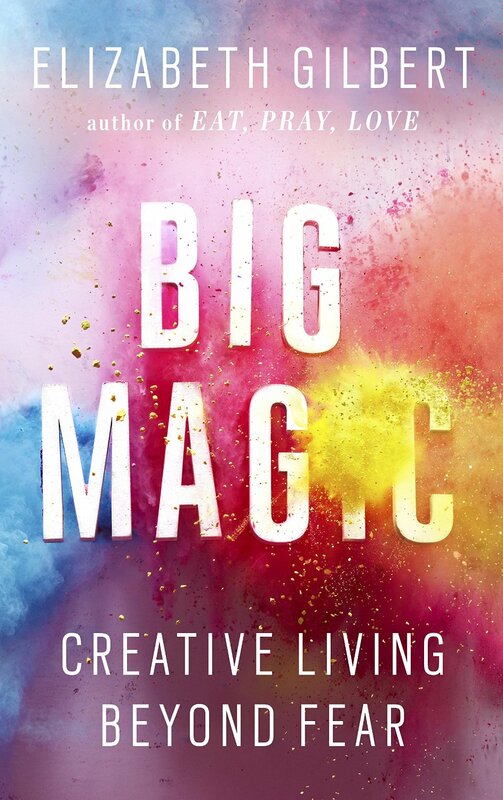 Speaking of magic (and therapy), have we mentioned Elizabeth Gilbert’s Big Magic yet? Once upon a time, Gilbert wrote a little book called Eat, Pray, Love which moved a couple bajillion copies. This time around, she’s tackling the creative urge inside all of us that yearns to be embraced. This is one of those books that we should all read (even if it is just a few pages while hiding in the bathroom at holiday dinner while Grandpa dresses Aunt Bess down for being rude and she ups the ante by saying that she learned it from him). Let yourself be reminded of that spark that needs nurturing. There’s a lovely Harry Potter related set for the holidays. It’s the essential magical collection for any home (Muggle or otherwise), and collects The Tales of Beedle The Bard, Fantastic Beasts & Where To Find Them, and Quidditch Through the Ages. 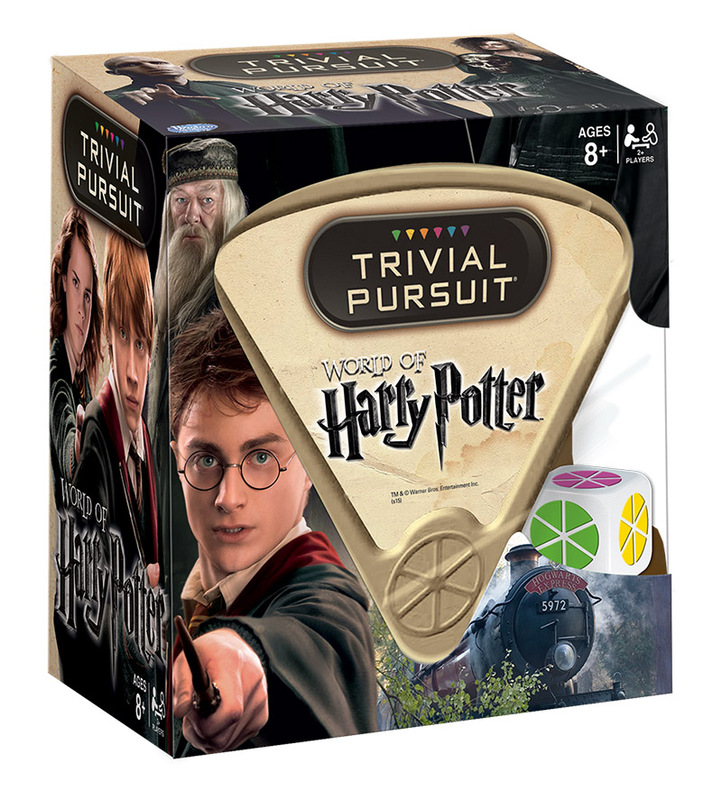 A useful collection to peruse while lounging beneath the stairs (with the terrified tail-trodden cat), because you know that later—after the eternally-delayed dinner and requisite gnawing of the fruit log—the kids are going to gather upstairs for a few games of Harry Potter Trivial Pursuit. Oh, yes, my dears. Such a thing exists. And we have it in the store. The urge to come visit is mighty, is it not? 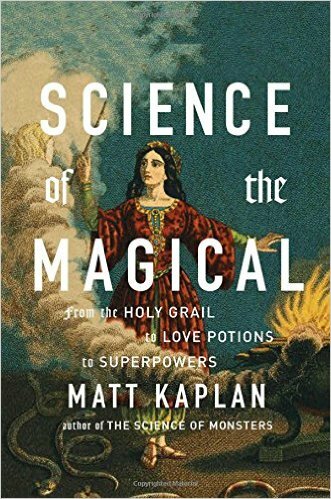 And finally, Matt Kaplan follows up The Science of Monsters with Science of the Magical, a delightfully well-researched tome that illuminates a few of the greater mysteries of modern mythology, folklore, and pop culture. Stuff like holy eyeliner, talking forests, death cats, distilled alchemist pee, and sensitive body parts pierced with stingray spines. We’re sure that last one doesn’t hurt as much as you think it might because it’s done by a professional practitioner. Though, we really hope there’s some sleight of hand involved, otherwise . . . yowch! And we can't end on that note, so look! 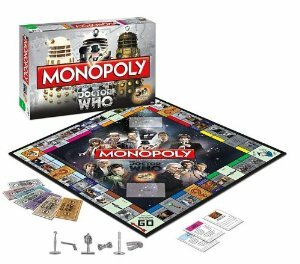 Doctor Who Monopoly! Colby: So, is that why you don’t like hanging out with family at the holidays? Bob: I was just saying “for instance.” I wasn’t drawing from my own experiences. Colby: But I thought that is what writers did. They drew from their own experiences. Bob: Most of them are liars. It’s easier. Colby: That must be kind of lonely. Colby: Lying all the time. Bob: Well, they only do it for money. Bob: No. Most writers will lie for a hot meal.